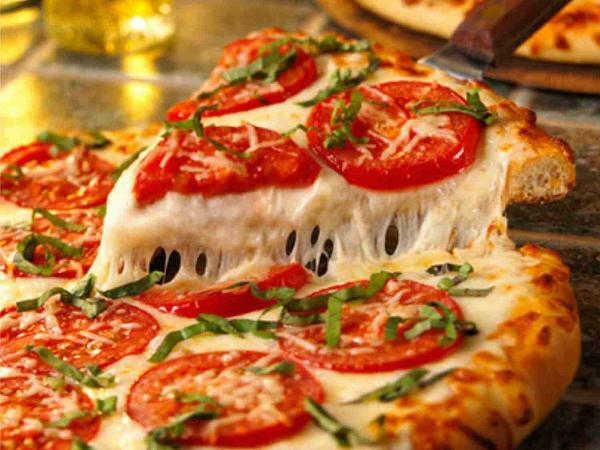 Italian food is popular all over the world mainly due to the superb taste and aroma. So, here are the top 10 Italian recipes for you! It is a Tuscan salad that is made up of different types of vegies. Tomatoes and bread are considered as permanent ingredients in these recipes. The salad is best for the summer season and it is better to have a drink with it! The first step is to chop the vegies and then convert them into even square pieces. Use a large bowl to pour them and then mix all the other ingredients in it. Leave the bread because if you mix it before then it will not give the taste in optimum manner. After that mix the lemon juice and then taste the salad. If you want a spicy flavor then don’t hesitate to mix more. After that leave the salad to rest in the refrigerator and then you can put the bread before serving. After refrigeration duration, it is better to have a cold flavor melting in your mouth. It is basically sliced bread that has a variety of toppings. The mushroom based and tomato recipe has a very smooth flavor that will make your evening very special. Following are the ingredients that will be used in making this recipe. Cut off the bread from the center into two halves. Then cut the garlic into two pieces. Frequently rub the cloves on the bread and then bake the bread for 7 minutes. Now, your bread is ready to serve. In order to make the topping, put the butter in the pan and then add vegetables in it. Then stir and add mushrooms and other ingredients. Finally add some salt, pepper and it you want to give color all these ingredients then also add some sugar (normally a pinch is enough). This is the final deal and your friends will love to have it in winters! Start by cutting 2 juicy tomatoes in beautiful and thick round styles. Make sure you dress them with some virgin oil, some pepper and salt. 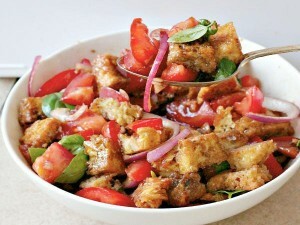 Break your Mozzarella into bits or chunks to make sure it is easy to eat when finished. Arrange all tomato cuts or slices also with your mozzarella chunks on a clean serving platter. After that, you can garnish with pesto sauce and tulsi. Then, you can top with fresh basil. Start by blending the basil with pine nuts, Parmesan cheese plus added virgin olive oil. Make sure you blend until you get a paste form. Then, squeeze out the lemon juice into the paste formed mixture. After, add some more extra virgin olive oil if the paste is still very thick to give it the best consistency. Start by dissolving the yeast with some water. Put some flour, water, olive oil, salt, dissolved yeast and sugar in a mixer that has a dough hook. Make sure it mixes very well until the right dough feel is formed. Make sure the mixer starts slowly then goes faster. As soon as the dough leaves the hook effortlessly, that is when you have to know the dough is ready to be taken out. Make sure you keep it very covered with cling film in a very dry and warm place. Start by putting some olive oil in a sauce pan to heat. Add some onions when the oil becomes hot. Caramelize the onions after sometime very slowly. Add some thyme leaves to onions then leave to cook for a short period. After that, add some cracked black pepper. Then smash all the black and green olives into a bowl. Make sure the olives are kept aside. Then, slice tomatoes and also keep it aside. Now, put the dough into a greased pie dish. After that, make sure you put a little olive oil over it to make it flat using your fingers or hands. Use your fingertips to knock the dough back. Then, make small craters with your fingers. Then, you can top it with your caramelized onions, tomato slices and your smashed olives. Then, put in some basil leaves, pepper, grated parmesan cheese and some olive oil. After that, place or put it in the center rack of the oven at 180 degrees for about 20 to 25 minutes. Heat olive oil in a large pan or a saucepan. After that fry bacon till it becomes very crisp. After you have got the crisp nature of bacon, set it aside. Beat all whole eggs inside the mixing bowl as well as the yolk. After that, add your grated cheese and stir the mixture then set it aside. After that, boil your spaghetti in a lot of salty water. Drain the spaghetti from the cooked water after it is cooked very well but make sure you keep some of the water. After that, make sure you toss the spaghetti with this egg mixture in a different saucepan. Also, add the bacon that has been set aside and any fat that is rendered from when bacon cooking went ahead. Make sure it is done over very low heat. Be very sure all individual strands of spaghetti is coated very well with this mixture. Then, season with some salt. Add some spaghetti water and give it a very quick toss. Then remove it as soon as possible from the heat. Make sure the sauce has a very creamy texture which will go away if you keep the pasta on fire for a very long time. Make sure you serve this dish as soon as it is done with a lot of pepper that has been freshly crushed in a pepper mill and additional Parmesan if you want to. Start by pre-heating your oven. Make sure your oven is pre-heated. Flour or put flour in the baking tray. Roll your dough and put in on the baking tray. Then, spread or open a very thin part of Passata. Now, put the baking tray in the hot oven for about 10 to 12 minutes. When the pizza is fully baked, make sure you take it out on time. After that, sprinkle olive oil and pepper on it. After that make sure you garnish it with basil that has been cut into small slices. Start by heating oil and butter on fire until it is very soft. Then, add your onion until sauté. Add the rice and cook until it is very transparent as you stare. After that, you can add wine if you realize it is dry. Also, stir in 1 ladle of stock. After that, stir is very well. Cover and leave it to simmer gently for some minutes. You can add additional stock and stir if the rice starts to look dry. Make sure you add stock until rice is perfectly cooked which will mostly be in about 25 minutes. Now, you can taste it to find out if it is alright or tastes better. Now, you can remove from heat. Stir it in parmesan, additional butter if you will be using it, parsley and some pepper to taste. Start by cutting the tomatoes in small pieces. Then, get rid of or take away the seeds with your fingers. Then, you can now quarter the tomatoes. After that, heat the oil in a spacious vessel. Add some garlic and chilli. After that, you will see that the mixture becomes opaque when garlic releases its smell or aroma. Add the tomatoes and cook over very high heat till the tomato starts to become thick. Stir with a wooden spoon which will help to mash the tomato pulp. Include the salt and basil, it can be wither full or chopped. As soon as the sauce is rightly done, lift it from fire and put it into a food processor just for 45-50 seconds. Cook your pasta in a lot of boiling water. Drain when it is cooked. Serve it in a bowl with the scrumptious sauce. After that, drizzle some oil on spaghetti and mix it with some sauce. You can now serve with some Parmesan cheese. Beat your egg yolks in a bowl and add sugar to it then mix until it becomes creamy and light. Add some vanilla essence then fold it into the cream cheese. Add brandy to black coffee and stir it. Then dip sponge fingers in coffee-brandy mixture quickly. Make sure these fingers absorb the right amount of liqueur but make sure it does not crumble. Align the layer of sponge fingers into shallow dishes. Make many coatings of sponge fingers then add the mascarpone. Put your tiramisu in your fridge for a maximum of 3 hours and 45 minutes. Now you can serve it by dusting with some cocoa powder. Start by soaking the sheets of gelatin in cold water. Include some cream, milk and 2 tbps of sugar and vanilla pod. As you stir on and on, bring to simmer. After that, squeeze the water out of the gelatin then mix it with milk and cream mixture. Mix it gently till gelatin has totally softened. Strain the blend into a different bowl and put aside to cool. Partition the mix into oiled ramekins. Put inside your fridge for 3 hours maximum. Include 100gms of frozen raspberries, gin, lemon juice, and 2 tbps of sugar in a pot. Blend and boil.